The Bellevue play structure has a little bit of everything to provide a fun and engaging play time for children. 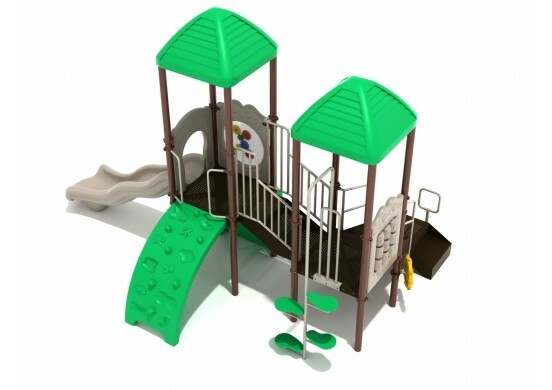 Three activity panels are included to boost cognitive development through logic and imagination. The panels included are a tic tac toe panel, gear panel, and a car panel. 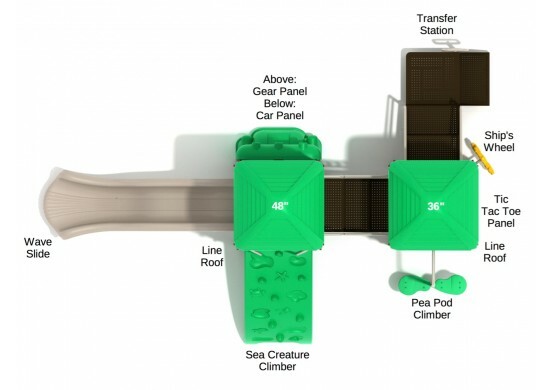 Ascending the structure is just as easy as climbing the sea creature climber, pea pod climber, or the simple transfer station. 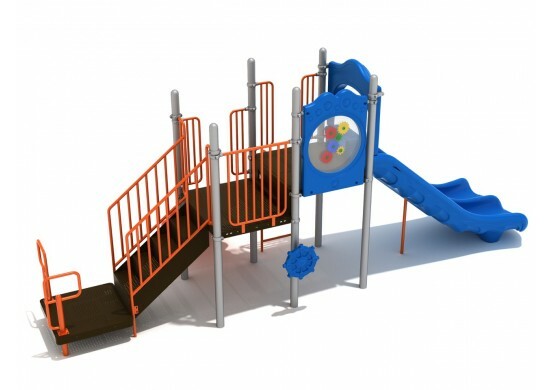 These fun climbers add exercise to play time and can greatly benefit the physical development of kids. 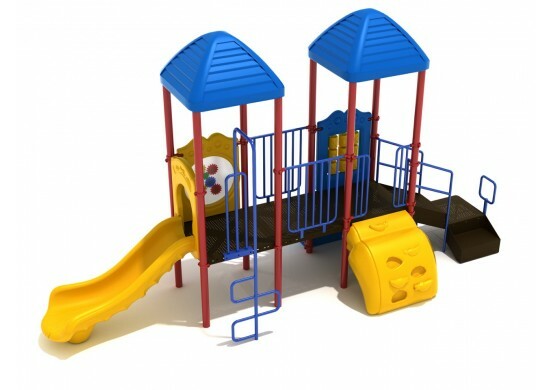 A wave slide provides a quick exit back to the ground. A ship’s wheel is post-mounted at ground level as well. Two line roofs shade the decks of the structure, protecting children from the sun as they play. 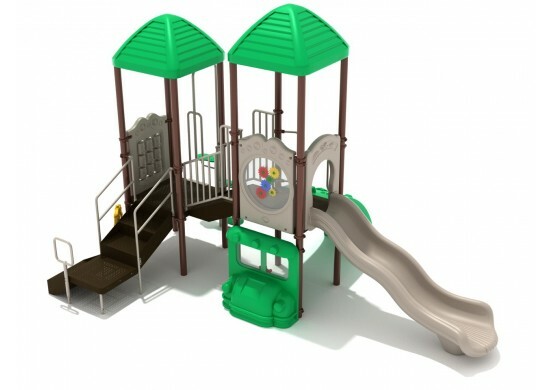 The Bellevue structure is designed for children ages 2 to 12 years and is ADA compliant. Be sure to use a loose-fill safety surface or a poured rubber surface to help prevent injury.